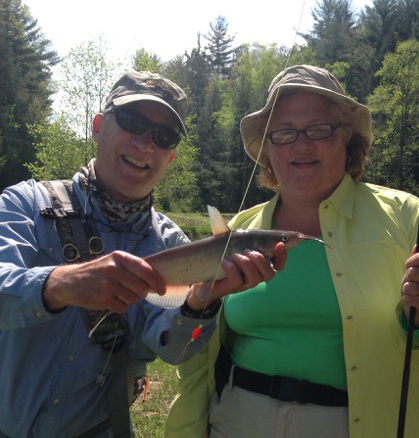 It was my great pleasure yesterday to do some tenkara fishing with the men and women of the Asheville chapter of Project Healing Waters Fly Fishing. 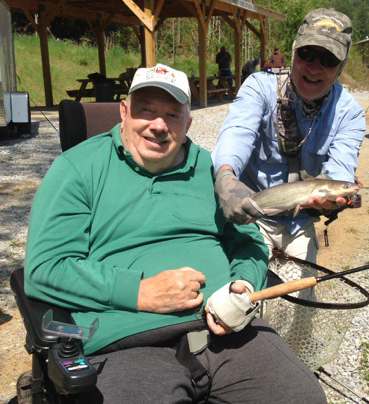 This amazing organization uses fly fishing and related activities to promote the physical and emotional well being of wounded warriors and disabled veterans. We fished with nymphs and indicators and, as you can see, tangled with some well-whiskered denizens of North Carolina still waters. Those cats are strong! These were just a few of our conquests which also included some nuclear-sized Blue Gills. It was a ton of fun and a real honor to spend time with these great Americans.